It’s #TimeToTalk – What Is Normal? When we are struggling with mental health it is easy to fall into the trap of wishing to be ‘normal’. Wishing to be like everyone else. Believing that because we struggle we are somehow not normal. Well normal is an illusion. 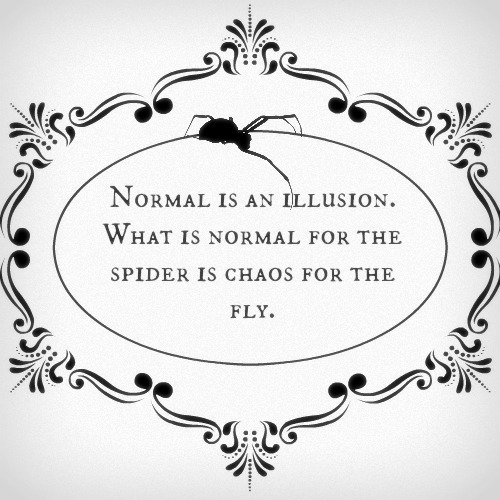 What is ‘normal’ for the spider is chaos for the fly. The ‘normal’ we think we see everyone else enjoying is quite probably not what it seems at all. It’s very possible that the person who’s normal you envy is looking at your in jealousy of your ‘normal’. Don’t get sucked into craving something that doesn’t exist. Life is complicated enough without that.